encourage and support the creation of brave innovative ideas. Non Architecture considers “Architecture” everything that has already been designed and/or built, a realm of conventional solutions. Imagine a counterpart, a “Non architecture”: a world of unexplored designs and countless possibilities, that if found, could enlarge and change the boundaries of architecture permanently. NA is developing a series of competitions to focus on finding innovative approaches to a specific architecture topic, always related to a functional issue. Emphasis is always pointed to nontraditional non-architectural approaches to the architect’s work. 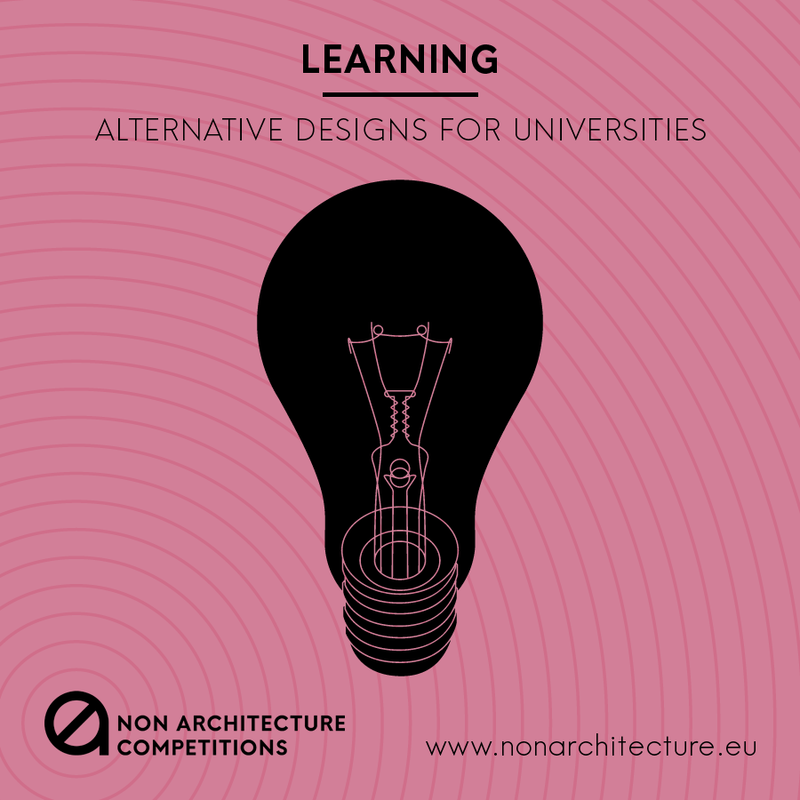 The next and 8th competition, launched on October 1st, with a deadline of December 30th, is Learning – Alternative Designs for Universities. research in Europe. The aim of the competition is to develop design proposals for the university, intended as a space of higher education, training, and teaching on all levels and disciplines. The participants are asked to create innovative and unconventional projects on this theme and to investigate what kind of spatial qualities can support or empower the process of learning in the future. Designers are asked to merge considerable programmatic innovation and valuable design tools. The proposal could be a device, a piece of furniture, interior design project, pavilion, urban plan or something other. The participants chose the scale of intervention, program dimensions, and location to suit their project. Rhino and Grasshopper users are encouraged to submit their projects!